NanoMagic's coatings range for car have been principally designed to protect painted surfaces, metals, plastics, composites, fabric and glass both internally and externally. 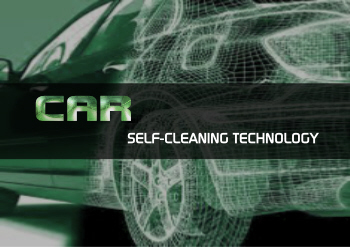 By applying NanoMagic coatings you can make your car clean longer and easy to clean, adding hydrophobic effect outside the car, protecting the bodywork from mechanical scratches, rust, harmful effects of ultraviolet light, or will help you see more clearly, especially in the pouring rain, if windshield of the car is coated. In addition, you can protect the interior of the car from any liquid stains, by coating the seats uphlostery and car lining fabric. NanoMagic coatings will protects your vehicle like nothing else! It works on the molecular level to transform protective shield. Once treated your vehicle will repel water and contaminants, and it will maintain a clear, hard-as-nail finish. - Long lasting protection of surfaces against water, dirt, grease, insects and fingerprints, - Much better visibility in rain - with a speed of 60 km/h, water wipes off without the use of wipers, - Easy cleaning properties, - Clean heavy dirt easy- just use water, no scrubbing, - Resistance to mechanical wasching, - Car body protection from corrosion and UV, - Easy removal of frost, snow and insects, - Easy cleaning of liquid spills from car seats, no stains.